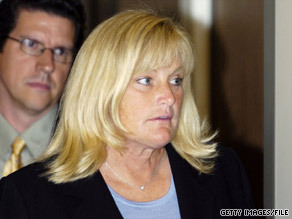 Michael Jackson’s ex-wife and the mother of his two eldest children, Debbie Rowe, has agreed not to challenge the singer’s mother for custody of the children, a Jackson family lawyer said in a CBS News interview. Londell McMillan, who represents Katherine Jackson, said a tentative agreement was reached “for the best interests of the children.” “This is not a money deal,” McMillan said. “This is not about money.” Debbie Rowe never publicly said if she would fight Jackson’s 79-year-old mother for custody of her son and daughter — ages 11 and 12 — and a court hearing concerning custody was delayed several times this month while lawyers for each side talked. The youngest child, 7, was carried by a surrogate mother, whose name has never been released. Katherine Jackson gained temporary guardianship of Michael Jackson’s three children soon after his death last month. Watch what may have happened in Jackson’s final hours » “All the parties are resolved that there is no situation better for these children than for them to be raised and reared in the loving care of Mrs. Katherine Jackson,” McMillan told CBS. McMillan said details of the tentative agreement would be announced soon. A custody hearing is set for Monday before a Los Angeles County Superior Court judge.